Welcome to . . . Woodland Park Retreat! Imagine a vacation where the only things you hear are the birds, a gentle breeze in the trees, and nothing but peace. 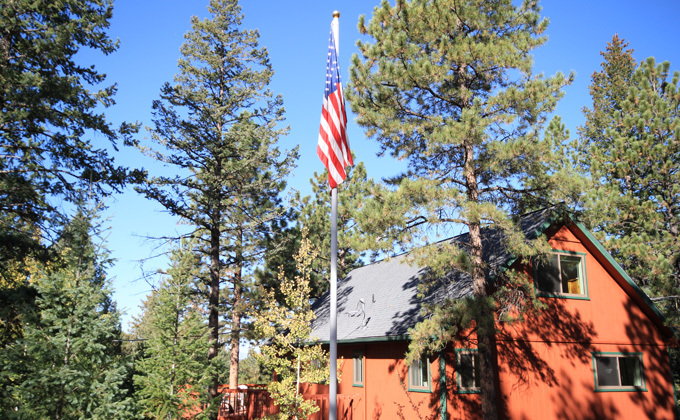 Our beautiful, 2,300 square foot, three-story Woodland Park retreat is set in three completely private, tranquil, aged pine and aspen acres of high Colorado mountain woodland. We have named our home 'Woodland Park Retreat' (WPR) and are offering it for rental to help us keep it for our future retirement. It has three spacious bedrooms and a huge 21-foot loft bedroom all with terrific comfy, good-quality beds, designer bathroom fixtures and a fabulous cherry wood, fully-fitted designer kitchen. The house is decorated in a soft yellow cream throughout and is bright and airy with enormous windows and plush carpeting, tiled entrance and designer flooring in the kitchen. The kitchen has a talking fridge, stainless-steel appliances, Corian countertops and center island. The Great Room has a vaulted beamed ceiling with patio door straight out to the spacious redwood, wrap-around deck to view the distant and often snow-capped mountains. Pine trees weave their way through the deck and, in different seasons, you can watch the brilliant blue Stellar Jays and tiny Hummingbirds feed. 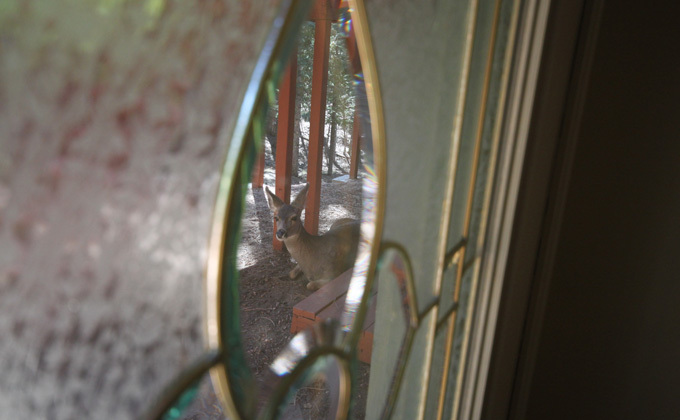 Or enjoy the Mule Deer as you dine either inside or al fresco on the deck. we will do our utmost to help and make your stay enjoyable. 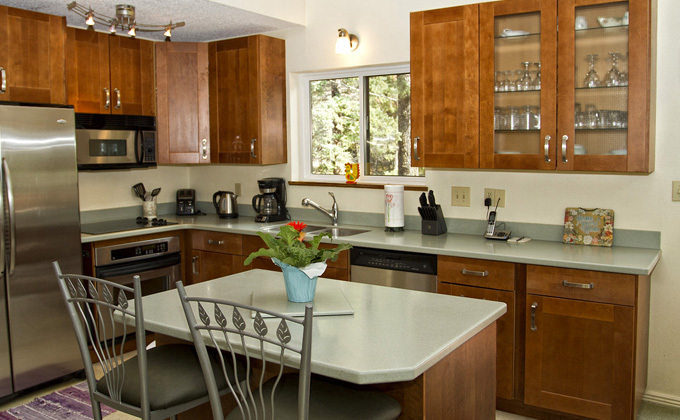 Ideal for reunions, family vacations, business workshops, retreats, sight seeing or quiet weekends in our beautiful mountain-view home on three wooded acres. Sleeps two to eight. Spa, Infrared Massage Bed, 42-in HDTV and WiFi internet. WPR has 3 spacious bedrooms and a huge 21-foot loft bedroom all with terrific comfy, good-quality beds, 3 bathrooms with designer fixtures and a fabulous gourmet, designer cherry wood kitchen & talking fridge, stainless-steel appliances, Corian countertops and center island. Add large beautiful redwood decks with barbecue, hot tub and mountain view and you have the perfect vacation getaway! Woodland Park - "City Above the Clouds” - is only a 10-minute, rural drive away through meadowland, past Pikes Peak forest hiking trails and the nearby golf course. Woodland Park offers many amenities including restaurants, lots of stores and a quaint, old-fashioned main street complete with antique and cowboy clothing stores.